Recall yesterday, Cee-c revealed to Khloe how she unknowingly caused the death of her best friend while in school due to another girl who came and snatched his love and so she inwardly and silently wished their relationship would come to an end. See here. 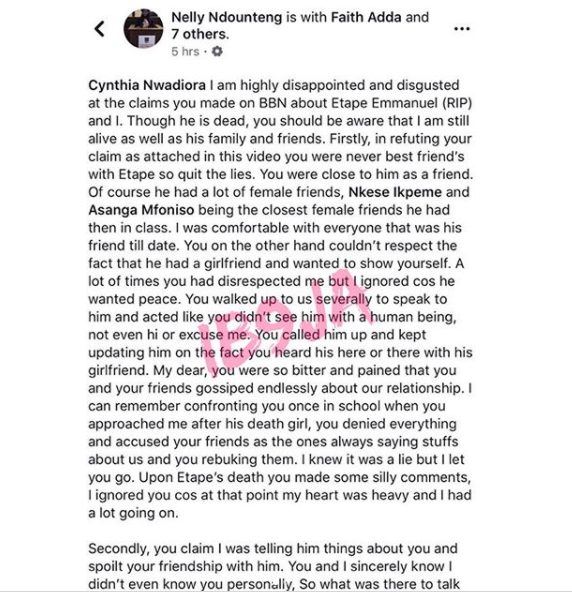 Well, the girl who made Cee-c's supposed bestfriend reject Cee-C’s advances, Nelly Ndouteng, has taken to her Facebook page to call Cee-c out, stating that Cee-c was never bestfriend to her late boyfriend. 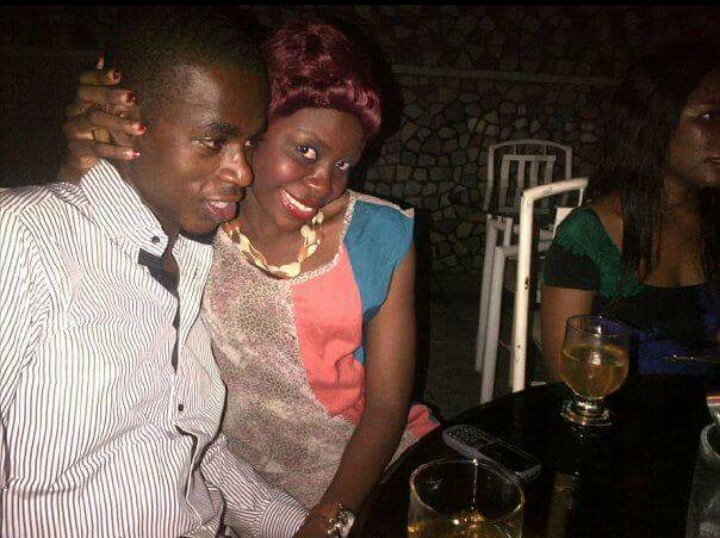 She revealed the late friend's name to be Etape Emmanuel. She also mentioned how Cee-C was always gossiping about their relationship with her friends. 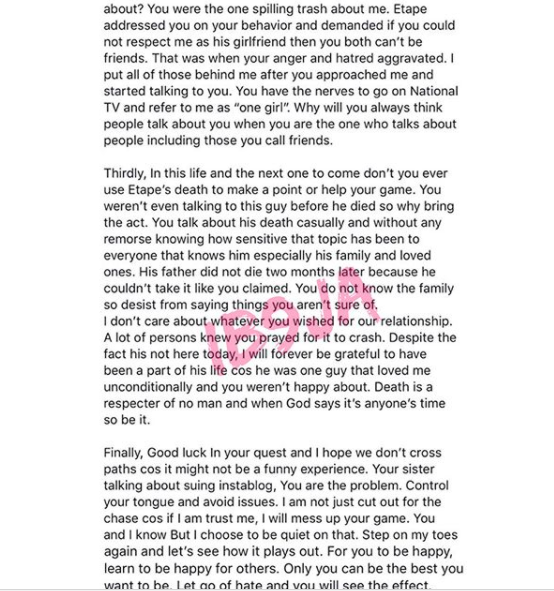 She also spoke of how Cee-C always disrespects her presence whenever she approached her and Etape. 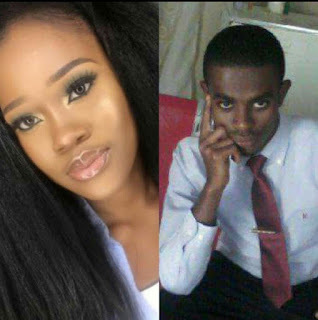 Another young Lady Ani Esther Chioma, who claims she is the sister to the girl Etape Emmanuel was dating also took to Facebook to mention how Cee-C was always angry seeing her sister and her boyfriend Etape Emmanuel because Cee-c had feelings for the guy. 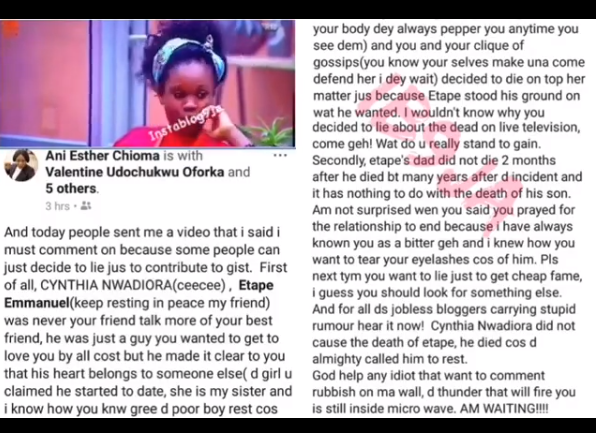 However, Etape ignored her advances cos his heart was with his girl and not Cee-C.
Below are pictures of Etape Emmanuel, the guy who died after BBNaija housemate, Cee-C, prayed for his relationship with another girl to come to an end. 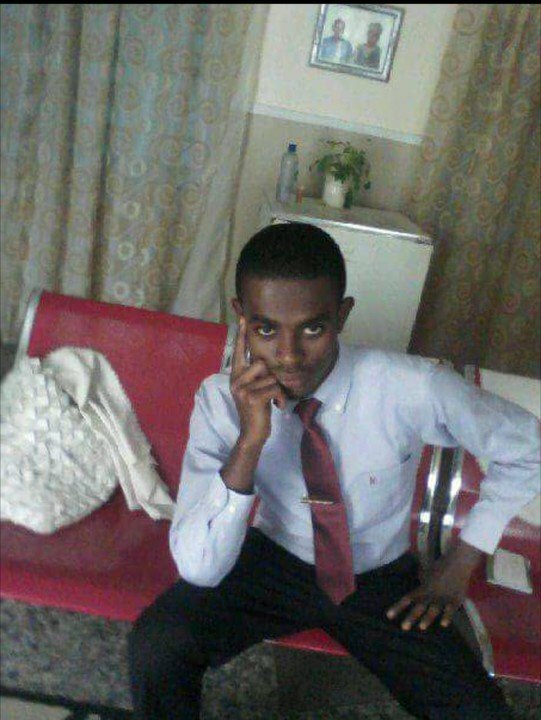 May his soul continue to rest in peace. Amen!